Capable of achieving throughputs of up to 40 tonnes per hour - whether on the static or mobile XR-XC - this latest cutter evolution can run with a slow rotor speed of either 65rpm for complex waste streams, or 85rpm for cleaner input materials. With equivalent machinery often operating at far higher speeds of up to 250-350rpm, UNTHA is therefore striving for the lowest wear, most robust safety standards, and greatest energy-efficiency on the market. The design is also able to deal with large unshreddable items without the excessive downtime that operators typically face with the major repairs needed on high-speed technology. "This XR-XC is fast-becoming a popular replacement for the industry's existing high-speed waste shredders," comments Peter Streinik, head of UNTHA's global waste shredding division. "It is challenging the norm and making operators think differently about how to process waste into an energy source. "For example, the slower speed means reduced noise levels which heightens operator wellbeing, which is crucial for organisations' duty of care. It also means cutters have a longer lifespan which lowers the whole life running cost of the machine, without jeopardising performance. And the flexibility to handle extremely varied and complex input materials addresses the increasing challenge that clients are facing - they need future-proofed technology that can evolve alongside market conditions." 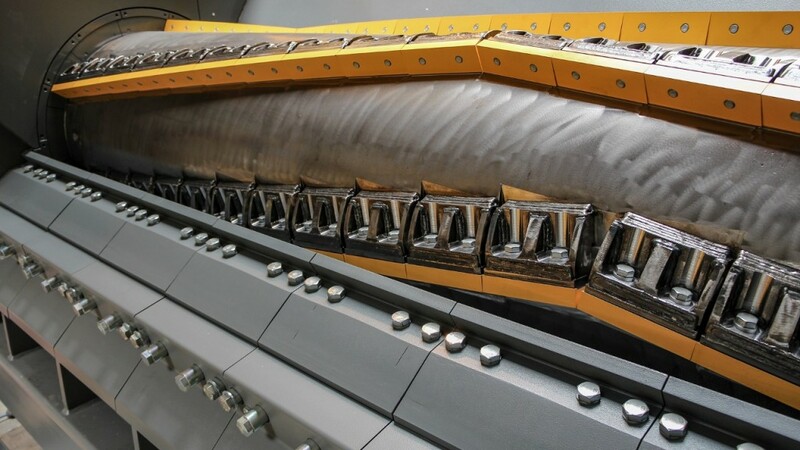 Demand for the new XR-XC spiked following a European roadshow of the shredder, which allowed operators to trial the machine using their own materials. Three trials in the UK, for instance, saw the technology transform five different input waste streams into fuels with varying specifications. During one test, pre-treated residual waste was transformed into an 80mm fuel at a rate of 30tph; another saw black bag MSW converted into a <40mm fuel at 22tph and a third achieved 12tph when processing light cage material for SRF. Metal recovery rates also surpassed all clients' expectations, with exceptionally clean scrap extracted from the magnet belt, every time. "Without a doubt the results of trials such as these, play a huge part in the consequent demand for our technology," continues Peter. "Seeing is definitely believing. With our active presence in America, Australia and Asia - as well as Europe - and with conversations unfolding as we speak, our goal is for this latest innovation to be operational on every continent, within the next six months." Further technological developments on the XR-XC include a low-maintenance safety clutch and more powerful drive motors, to meet clients' ever-increasing performance requirements.